MG (Morris Garages) has recently unveiled globally its pure electric SUV – the MG eZS, scheduled for launch across international markets soon. MG eZS Electric SUV will be introduced in India by December this year and will be one of the first global pure electric SUVs in the country. It will be subsequently launched in some other markets like the UK, Germany, Australia, Thailand & Middle East coinciding with the Indian launch. The MG eZS EV is the perfect car for people who want to go electric considering the environment and desire the latest modern vehicle with connected mobility features. With a country-wide network of 120 sales and service outlets across India, MG aims to ensure a seamless ownership experience for its Indian customers. In addition, the carmaker will take appropriate measures to educate the Indian audiences around EV driving range anxiety and charging infrastructure. The eZS will also house the carmaker’s iSMART Next-Gen, which will debut in India starting with the MG Hector SUV which will go on sale in June this year, adds the statement of the company. 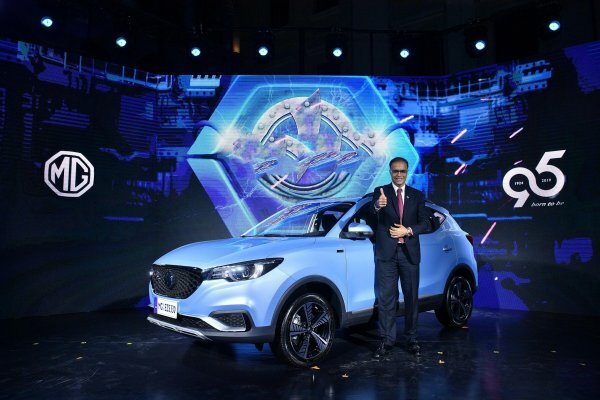 It may be recalled that MG India had already announced the launch of the first connected car Hector, with inbuilt internet connectivity. Scheduled to go on sale in June this year in India, the MG Hector will come with several industry-first features housed in a 10.4” Head Unit. The Hector’s touch screen is designed with a vertical interface that allows the driver to control the entire car system with just a touch or voice command and comes pre-loaded with entertainment content. The iSMART Next Gen featured in the Hector comes with an industry first embedded M2M with Internet Protocol Version 6 (IPV6) ready for 5G.